There's a puzzle for every word search fan. Say goodbye to small print and big headaches, and hello to hours of word search fun! Charles Timmerman is the founder of Funster.com, a word game website that was selected as a Yahoo! 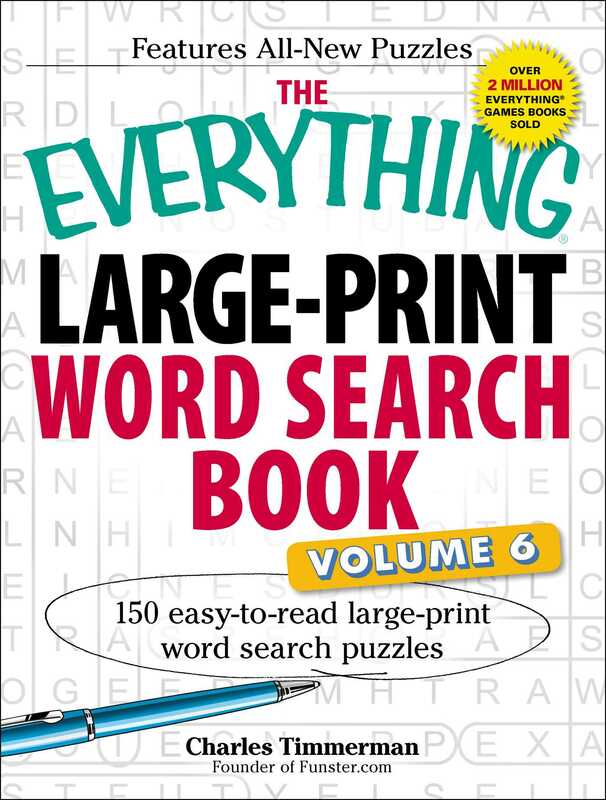 Pick of the Year, and the author of more than 100 puzzle books, including The Everything Jumbo Book of Large-Print Bible Word Searches, The Everything Word Search Book, The Everything Giant Book of Word Searches (Volumes 1 to 4), and The Everything Easy Word Search Book.